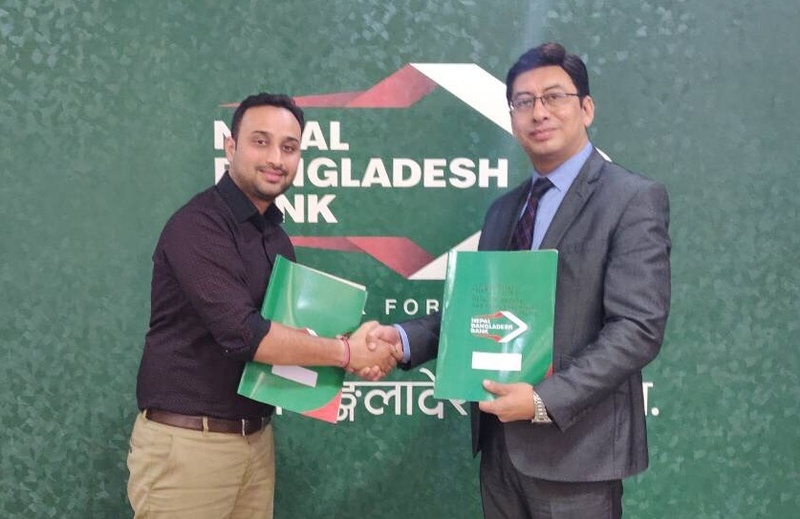 Nepal Bangladesh Bank Ltd. (NBBL) has signed a MoU with Khalti to facilitate digital payments to its customers. Surendra Bhusan Shrestha, Deputy CEO of the Bank, and Amit Agrawal, Director of Khalti, signed the agreement. This alliance will enable NBBLcustomers to load their Khalti accounts via NBBL mobile bankingapp viz. NBBL Smart, and e-Banking to make payment for various goods and services on the go via Khalti.